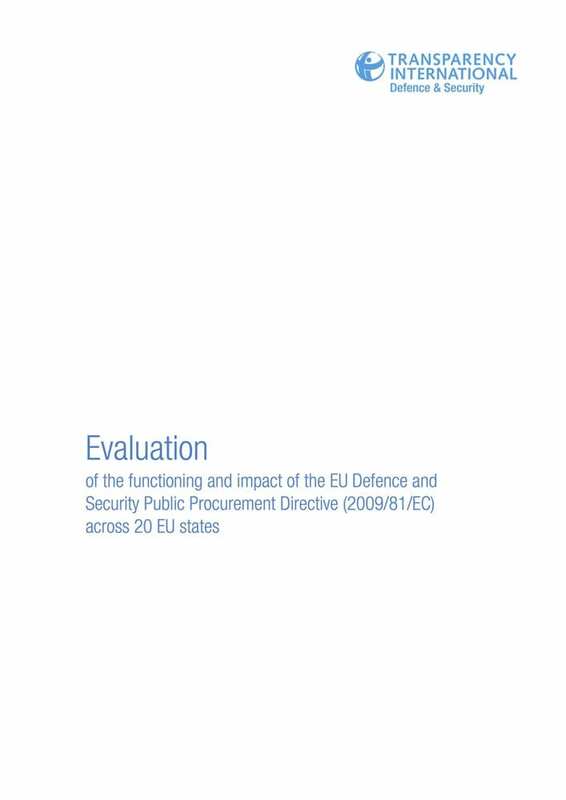 This evaluation is based on a review of 8 indicators in Transparency International’s (TI) unique dataset, the Government Defence Anti-Corruption Index, analysing procurement control mechanisms, policies and procedures from 20 European government defence ministries collected during 2014 and 2015. The paper identifies positive and negative practices across countries, as well as the overarching trends analysed in three areas; namely, the use of the essential security interest exemption, procurement transparency and competition. Drawing on this analysis, the paper contains a series of recommendations to European governments and the Commission concerning the factors affecting the implementation of the Directive in these areas, and the issues that continue to require action at EU level.